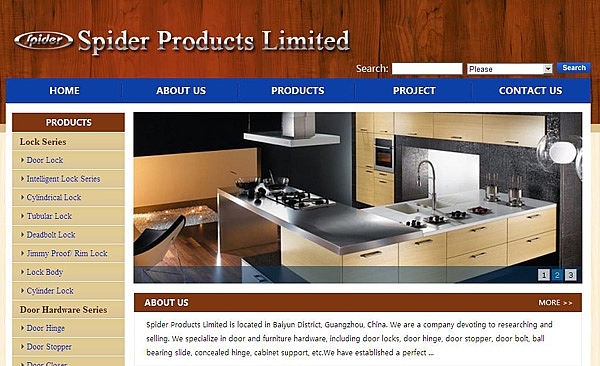 Spider Products Limited was established in 2011, located in Guangzhou, China. We are a company devoting to researching and selling. We specialize in door and furniture hardware, including door locks, door hinge, door stopper, door bolt, ball bearing slide, concealed hinge, cabinet support, etc. We have established a perfect production and quality management system and strict quality control, continuously innovating products so as to provide excellent quality products at reasonable prices. Taking these advantages, our products own a high level of approval. Our "Spider Hardware" products sell well in India, Southeast Asia, the Middle East, South America and other countries and regions. We sincerely welcome merchants to consult business and making samples for promotion. We will serve you by high quality products, competitive prices and the best serves. We would like to build up a pleased and prosperous business relationship with all customers.